Marriage will never be easy. It’s not meant to be. You have to work at it together and form a solid partnership that can stand the test of time. Your husband may annoy you, he may ignore you from time to time, and you could think about ending things multiple times throughout your marriage. But even though it’ll never be the simplest thing to get through, there are ways to make your marriage easier. These marriage quotes can help you realize what you truly have and also aid in your journey as a couple. Remember them and you’ll have an easier time maneuvering through life with your man. You can’t just marry someone you think is attractive. You should be looking for a good man. This quote is talking about the foundation of a good marriage being friendship. If you have that, you can make it work. It’s not enough to just be in love. You always have to be working on falling in love over and over again with your partner. Putting forth the same amount of effort every single day as you did in the beginning will help your relationship. If your relationship is struggling, perhaps you didn’t find the right person. Sure, your partner can get annoying from time to time but if you’d rather do life with them than without, there’s still hope for your marriage. Need we say more? Marriage isn’t about existing with someone you love, it’s about working toward a happy ending every single day. This quote means that your marriage isn’t based on being married alone. It’s the little things, the tiny threads of your everyday actions, that keep the two of you happy. Make sure you’re doing the little things. Notice how success comes from support and encouragement. The same goes for a marriage. If you support each other and encourage one another to do all the things you want, your marriage will function much better. This is another quote about the power of friendship in a marriage. Your partner has to be your best friend even after you’re married. Working toward this can help save your marriage and keep it happy and healthy. If you act like the wedding is the most important part of your marriage, it’ll be very evident during your first year today. Plan for a happy life together because the wedding is only a single day of your lifetime together. I’m sure you’ve heard how important communication is in a relationship. And if you’ve continued to ignore it until now, stop. This quote says it all. Converse with each other and your problems can be solved. In truth, what makes a relationship work is different depending on the couple. You have to find what works for you and that’s your personal secret. Learn how to make your marriage work together. It’s not enough to settle for someone you think you can live with. You should make sure you’ve married the person you don’t want to go through life without. Because even on the hard days, you’ll still be grateful for them. But don’t forget that some time apart is always good for your relationship. It’s not a little fairytale like we’re all made to believe. It’s a hard journey and when you realize that, your marriage will improve because you’ll treat it as such and take the time and effort to make it work. You have to choose your partner wisely. And when you have chosen them, the next step is to make the right choices in keeping your marriage healthy and happy. Sometimes those choices can be difficult but, regardless, they’re necessary. It’s all about being able to communicate. And even if you have a hard time opening up, you have to be able to with your husband. Talk to each other and your relationship can be saved. This is the basis of a great marriage: a partnership. You have to work together and work on even playing fields. The quality of your relationship is based on how well you can work together. This is another quote about the importance of working together. You’re a team, not a single unit. You compromise, support each other, and have each other’s backs. Do this, and your marriage will remain healthy. Every single day is unique in a marriage. Each day requires something new but no matter what, every day needs your effort. Not only will trying every single day get you a happy marriage, it’s a quality your husband will adore in you. You work to have a happy marriage and if you do it, he’ll want to, too. If you want your marriage to work out, let yourself love to annoy your husband. Obviously, this is meant in a good way. Poke fun at him and remember to enjoy each other. This quote really says it all. You can’t marry for surface-level qualities. It’s about what’s down deep. Don’t forget those amazing qualities that you married your husband for. Recognize them and you’ll be far more appreciative. Do you value your family or want to have a great one someday? Then you have to focus on nurturing your marriage. Allow your children to see what true love, compassion, and a healthy relationship looks like. We grow and change within our marriages. You’re not the same person you were when you first got married. You both have to allow for that change and learn to love each other in every stage of life. Are you starting to notice a theme with healthy marriages? It’s about friendship. Learn to like your partner in addition to loving them because that will save your marriage more than love will. Marriage is but a single day of your life together. That alone should never change your relationship. 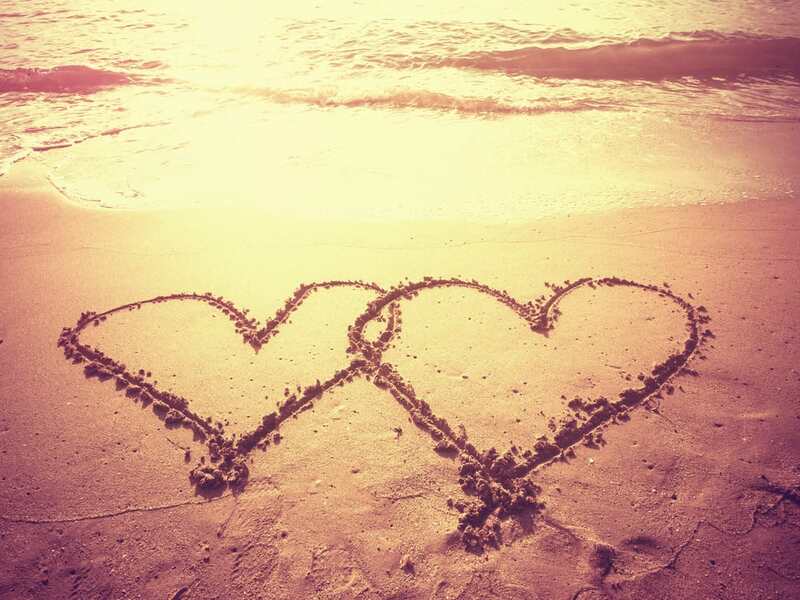 Love is the only thing that can make or break it. Focus on that love and nurture the relationship. You’ll never have a functioning relationship if you can’t work as a team. If one person is always calling the shots and the other is upset about them, it won’t work. Learn to work together as partners and your marriage will always be good. It’s as simple as this. Have quality time together no matter what. It’s crucial to do the little things and be affectionate even if just for a few minutes a day. This is a huge part of marriage. Your love changes within your union but that should never be a bad thing. Let the change happen and learn to appreciate and love how much your love has grown. If your relationship is suffering because you thought it would be a walk in the park, it’s time to face reality and start putting forth some effort. Wanting to make it work isn’t’ enough. You have to act like it. This is a single example of how a marriage isn’t perfect. You’ll go through rough times but, ultimately, if you love and care about your husband, you’ll put those things aside. This quote is about compromise. You have to learn when to give and when to take and also when to stay out of something. If your husband still loves you and wants to work on things, own up to your mistakes and be humble when you’re in the right. Marriage is work. Just as this quote says, you have to practice being in a healthy marriage. You make the marriage; the marriage won’t make you. This quote is here to serve as a reminder. 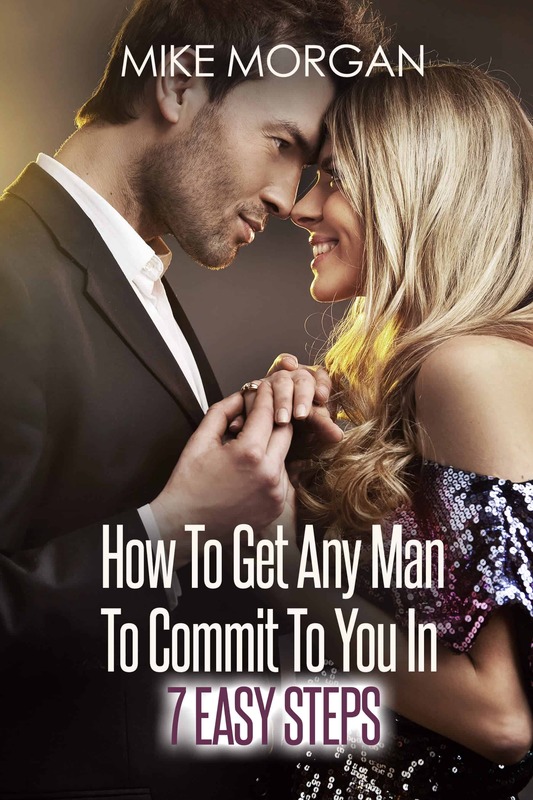 You committed to your husband and now it’s time to keep committing. Day after day, you have to try and make things work because it’s for a lifetime. Sometimes it really is this simple. You can round this entire quote into one word: empathize. Have empathy for your partner and you’ll learn how to make your marriage last. It’s difficult, is what this quote is saying. Marriage isn’t cut and dry. You go to sleep next to each other each night and make the effort to have a healthy relationship every morning. If you’re happy together and you truly love each other, your marriage will work. It doesn’t need to be perfect and flawless. So long as you’re in it together, it will last. This is just the truth. You have to care for you partner and your relationship in general. Nurture it when you have to and let it bloom when it’s time. Effort is what it takes. This has to do with thinking marriage is this amazing thing. It’s difficult. You’ll have to fight together in order to make it work. But the victory is worth the struggle. Sometimes you can try all you want to make it work but without a very specific skill, teamwork, it will never function. Both of you have to be in it for the long haul and you both have to put forth the energy to make it last. It’s a twisted belief system we grew up with. We all think marriage will be successful as soon we sign those papers. That’s just not the case. It’s the same as any other endeavor; it only works if you continuously try. Marriage is a process. That’s what this quote means. It’s something you work for, not something you’re given just by having a wedding. There will be people who don’t have value in a marriage but there is great value, indeed. If you recognize that, you’ll work hard to preserve it. Just as this quote says, marriage doesn’t work without conflict. That’s how you know you both care. You fight and you resolve it through communication and you keep trucking along. It’s all about having this shared idea of what your marriage should look like. If you both want a success story, you’ll both work to make that vision a reality. You can’t expect your relationship to function in a healthy way without nurturing it. Loving every aspect of the marriage is what will help you make it last. It’s not always about what your partner wants, but rather, what will help the relationship. You have to be willing to make sacrifices for the good of your marriage and not just so your husband gets what he wants. If you think your marriage will only ever be amazing and happy, it’ll fail. It’s not easy. You have to be patient and work with what you have. If you’re both happy and satisfied, your relationship will last. But don’t let your ego get the better of you and keep you from that satisfaction. This quote means what it says. You have to truly respect one another in order to make it last. If you find that your husband isn’t respecting you, it’s time to make a change so your marriage can last. It’s the teamwork being mentioned again, just more subtly. This is what a marriage is. It’s about being what your partner needs when he needs it and vice versa. Be his strength when he’s weak and he’ll be yours. If you focus too much on the big things, they can become unfixable. If you focus too much on the little things, they can likewise become unfixable. It’s about solving what you can and getting through it together. It’s simple: It’s the little things. If there’s one thing that can save your marriage, it’s remembering to do those little things which you don’t think are important. Because, when push comes to shove, they are. And that’s all you really have to remember. Marriage will never be easy no matter what you do. The only thing you can do to have a healthy, happy relationship is to always work toward that goal. Marriage isn’t something that happens and then you get to enjoy all the perks of it without the necessary work. If you put in the effort, your marriage will be happy and healthy. And if you are going through a tough episode in your marriage be sure to learn about Save My Marriage. This proven program shares the secrets of working through the conflict and apathy that can consume even the strongest of marriages. You’ll discover what it takes to overcome the obstacles every married couple faces. But don’t wait around. Marriage problems can accelerate very quickly. Visit Save My Marriage now to rescue your marriage today.